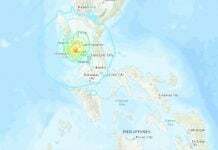 Three oarfish have been found in the Philippines since February 7, 2017, sparking fears among locals that it may be a sign of an impending large earthquake. 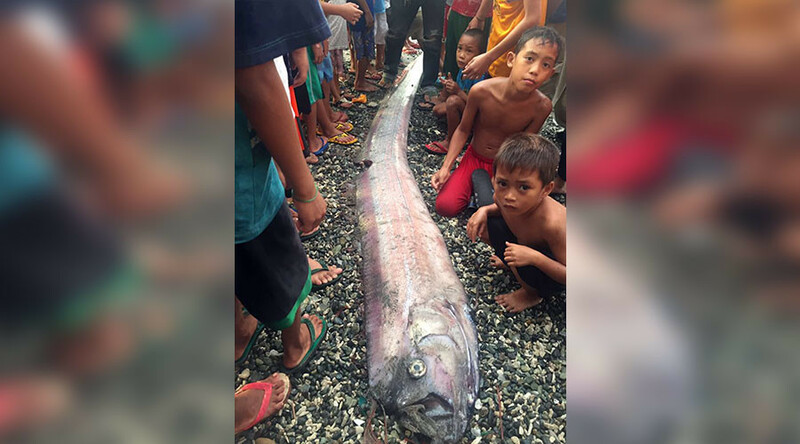 Oarfish are usually found at depths of between 200 to 1,000 meters, but since February 8, three have been found off the northern coast of Mindanao island, in the south of the archipelago. 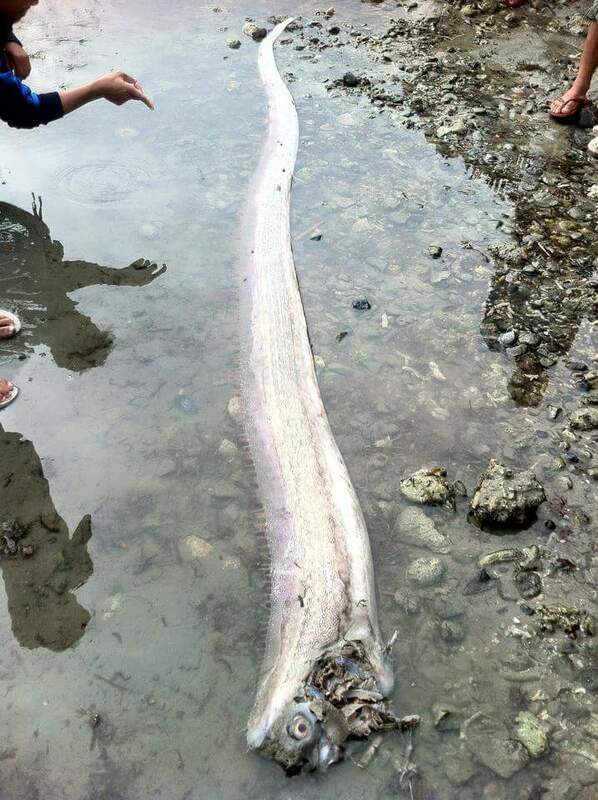 Mysterious oarfish sightings stoke earthquake fears in the Philippines. 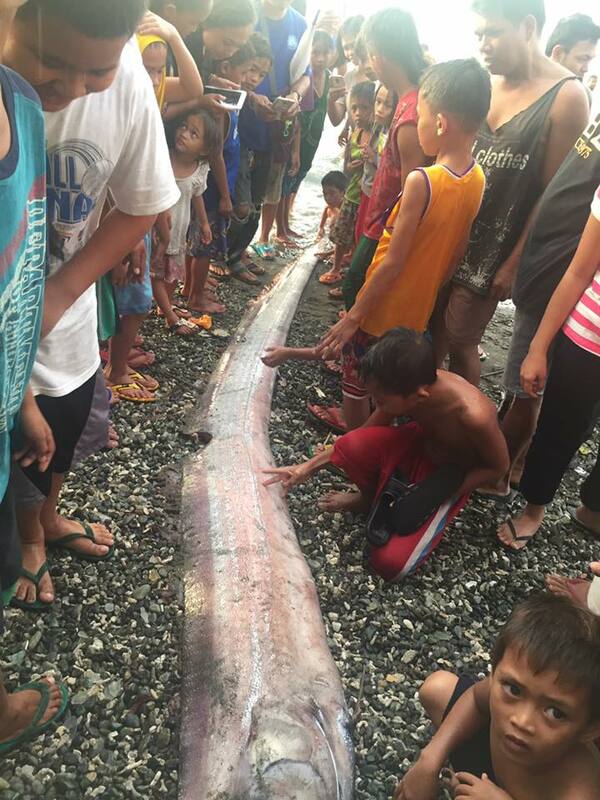 A giant oarfish speciment washed just days before the large destructive M6.5 earthquake that hit the Philippines on February 10, 2017. 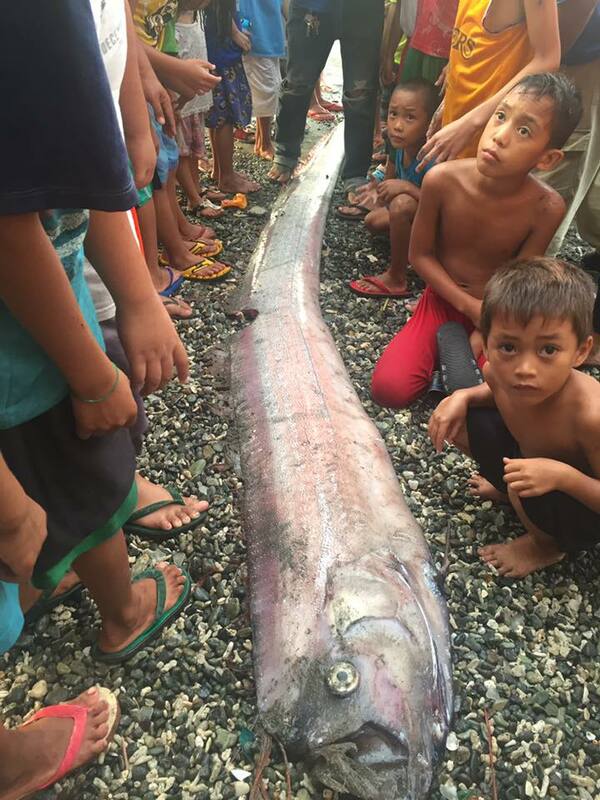 The latest oarfish, also known in Japan as ryugu no tsukai or “messenger from the sea god’s palace”, was found on February 18, 2017, on a beach in the city of Cagayan de Oro, and measured 15 feet long. 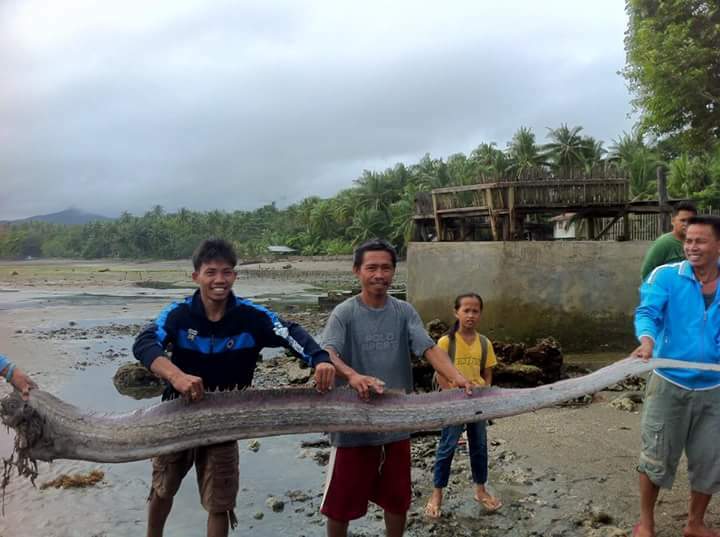 Within the last month, one oarfish washed ashore in the nearby province of Agusan del Norte in Mindanao island. 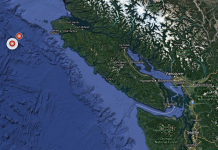 The frequent sightings of the deep dwelling oarfish have spooked some locals, fearful that it could be a predictor of earthquakes, with some people taking to social media to share their worries. Yes, deep-sea fish living near the sea bottom are more sensitive to the movements of active faults than those near the surface of the sea. 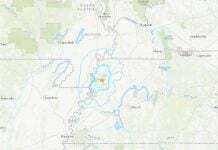 So get prepared.